In Barrett's esophagus, some of the tissue in the tube connecting the mouth to the stomach are replaced by intestinal-like tissue, causing heartburn and difficulty swallowing. Most cases of Barrett's stem from gastroesophageal reflux disease (GERD)—chronic regurgitation of acid from the stomach into the lower esophagus. A small percentage of people with Barrett's esophagus develop esophageal adenocarcinoma, the most common form of esophageal cancer. 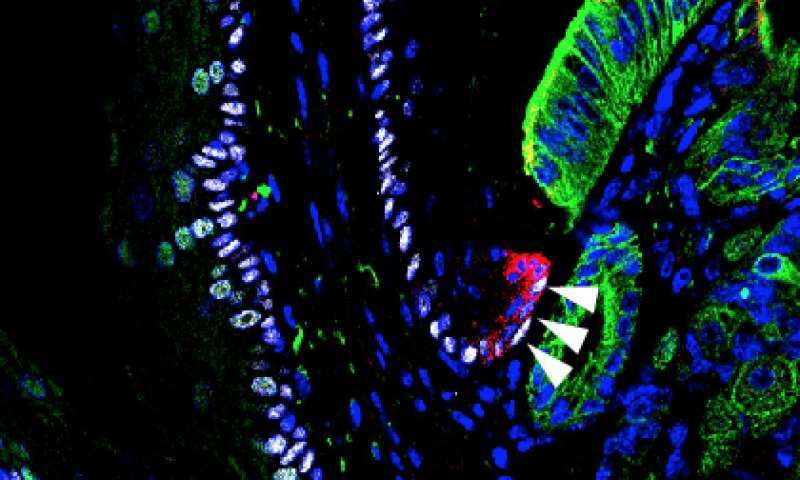 The study is titled, "Transitional basal cells at the squamous-columnar junction generate Barrett's oesophagus."